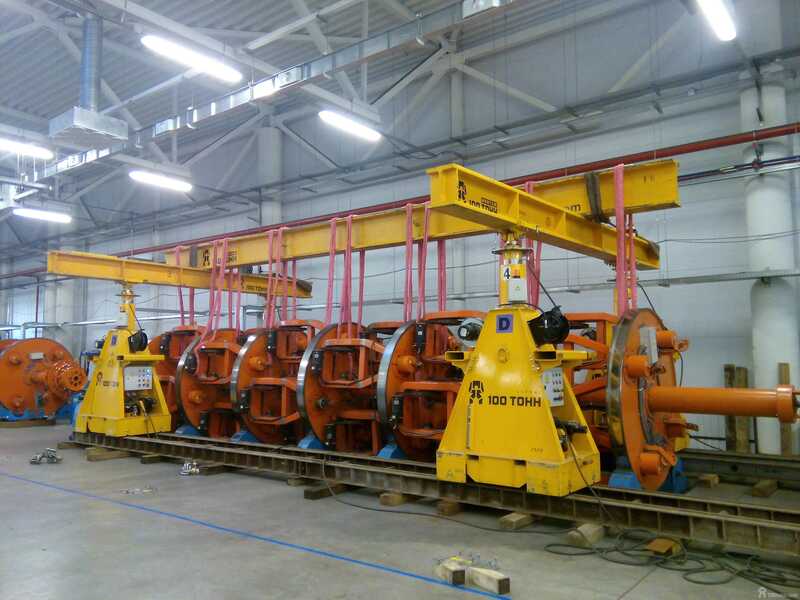 On May, 26 our specialists completed the lifting works and the works of holding the equipment in suspended position during repair operations with preservation of geometric integrity of the equipment. Since the equipment of the customer represented a complicated system consisting of five axial wheels, lifting and preservation of geometry required slings of the same length. Mass-dimensional characteristics of the load were 9,000х4,000х3,000 mm, mass 25 tons. Holding the equipment in suspended position was carried out by means of a GP125 gantry system, which enabled the customer to fulfill repair operations in the shortest possible time with no production downtime.